Today is a meaningful milestone for Children’s Miracle Network Hospitals, patients, and families as we celebrate an accomplishment no other company has achieved – ONE. BILLION. DOLLARS raised for the kids in their community! Research done by Engage for Good shows that the cumulative $1 billion in cash raised for CMN Hospitals over the years by Walmart and Sam’s Club represents the largest amount ever raised for a nonprofit by one company in North America. This milestone represents far more than an impressive amount of funds raised – THIS milestone helps make every milestone we celebrate in our hospitals happen! 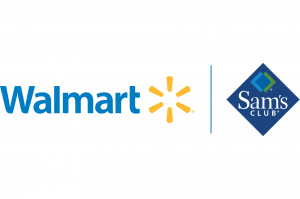 And if that weren’t enough…Walmart and Sam’s Club has raised more than $10.8 million for Monroe Carell Jr. Children’s Hospital at Vanderbilt – more than any other company! Thank you Walmart and Sam’s Club associates and customers!